Old City Hall #3 | Historic Jacksonville, Inc.
Jacksonville’s 1880 Old City Hall is the oldest government building in Oregon to remain in continuous use. 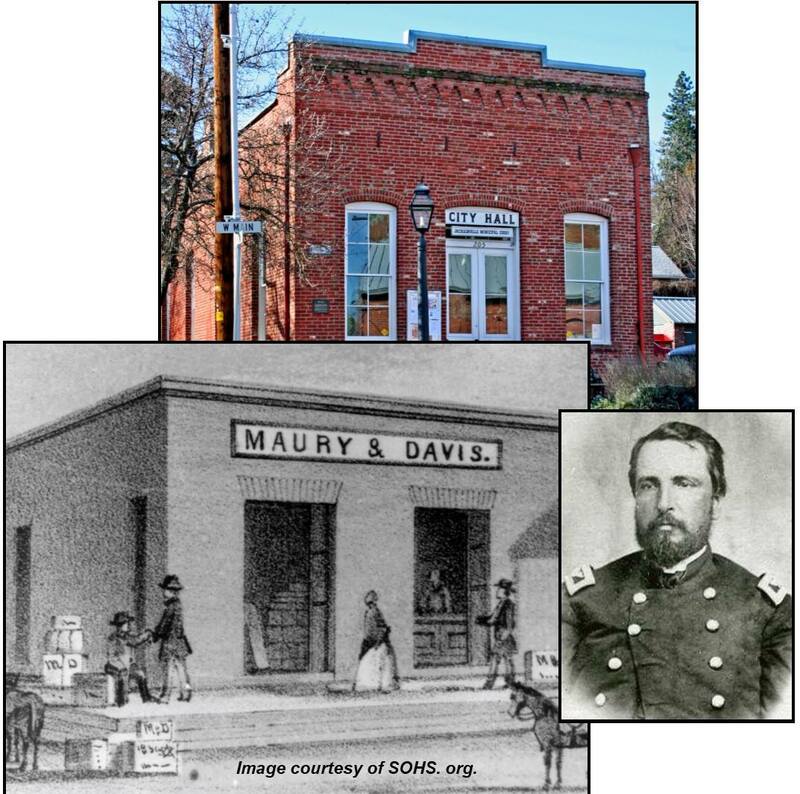 It stands at the intersection of S. Oregon and Main streets, the heart of Jacksonville’s original business district, on the site of the 1st brick building in town–the 1854 Maury & Davis Dry Goods store. Reuben Maury and Benjamin Davis had run a very successful general merchandise building at this location until 1861. Their partnership ended with the outbreak of the Civil War when Maury became an officer in the Union Army; Davis, a nephew of Confederate President Jefferson Davis, was claimed by family ties. Various enterprises occupied the original building until a fire in October 1874 gutted the interior. The burnt-out building sat empty until the Jacksonville’s Board of Trustees purchased the site for a town hall. Bricks from the original store were recycled into the current building’s construction. Completed in 1881, Jacksonville’s Old City Hall still hosts City Council meetings, City commissions and committees, municipal court, various community organizations, and monthly movie nights.